Tottenham Hotspur took the control of the game with the 16th minute strike of Dele Alli. Kieran Trippier has provided a beautiful ball which has deceived Watford Goalkeeper Orestis Karnezis. The ball went to Christian Eriksen. Alli got the ball from Eriksen’s feet and committed no mistake to put it into the Goal. After the beginning of the second half, Kieran Trippier again provided a beautiful cross towards Harry Kane and Kane found the net for Spurs to double their lead against Watford. Tottenham Hotspur were not looking very much confident in the defense in their previous matches. It was their first clean sheet after five matches. Watford too have got some opportunities to make a come back in the match. Hugo Lloris has made two really important saves in the context of the match. Richarlison tried to make things difficult for the Spurs side. But the central defensive pair of Jan Vertonghen and Davidson Sanchez were looking brilliant in the match to keep the clean sheet. With the goal against Watford, Harry Kane has taken his tally towards 27 Goals and he is just four goals behind the Egyptian Superstar footballer Mohamed Salah. Harry Kane has one extra game left than Mohamed Salah. So, there is still some chances left for Harry Kane to catch Mohamed Salah with three games left for him in the Premier League this season. So, we can say that the golden boot race is going to be really interesting at the closing stage of the season. With this win, Tottenham Hotspur have gone five points clear of Chelsea with three games left in the Premier League. They will have to play against West Bromwich Albion, Newcastle United and Leicester City in those remaining matches while Chelsea have to take on Liverpool in the next week. So, the things are completely under control of Spurs and they should make it to the top four from here on. Moussa Dembele has to be taken off at the 63rd minute of the match against Watford. His injury was seeming to be serious and probably it would be impossible for the Belgian professional Footballer to play in the rest of the season. The sources are telling that Moussa Dembele will make a move towards a Chinese Premier League club in the next season. So, this game might well be the last game for Dembele in Tottenham colours. 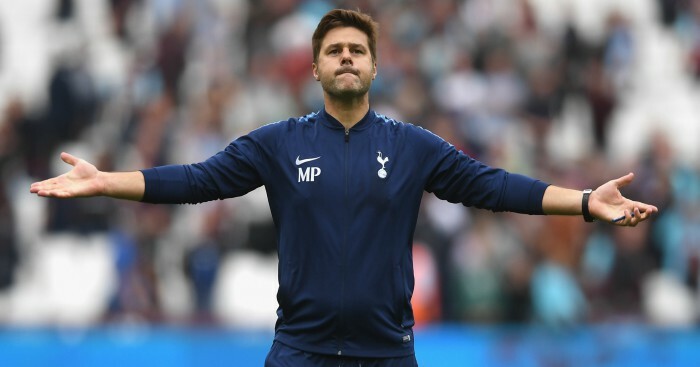 Now, with Spurs putting pressure on the Blues and the fight to finish in the top four going to the wire, it seems that they will not let Antonio Conte have a peaceful end to the season. The Italian manager already has an FA Cup final lined up against Manchester United and it seems that he will not be able to focus on that, with the north London giants being a constant distraction for their cause. Previous articleMarvel VS DC Quiz : How Well Do You Know Your Comic Book Heroes?